“Don’t sweat the small stuff” they say. True words, but hard to live by. It’s easy to get caught up in all the little things that stress us out and ruin our day. Frankly, it’s not worth wasting a lot of energy on all of things that happen on a daily basis that we don’t like. Sure, we can (and probably will) get upset over the fact that someone else took the last good parking spot, or that the grocery store is out of our favorite brand of cereal. However, since we have a choice of how we react, we can choose to use that small, fairly insignificant stuff to practice seeing the positive side of things, once we take a deep breath and allow it. Having to park further away means we get to exercise a little and enjoy the fresh air and sunshine for a couple of minutes while we stroll into the office. Not being able to find our favorite cereal means we get to try something new that we may like even better. Make it a goal to look on the bright side and watch your happiness and contentment go up. Then take it a step further and start to really pay attention to all the good stuff around you. 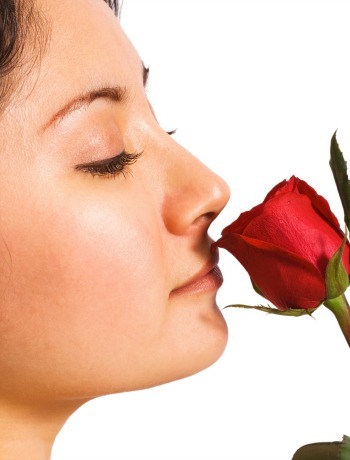 Stop and smell the roses, literally if you want. I do! I’m serious. There’s a lot of value in noticing all the positive things around you. There’s a lot of tiny little things around you that will put a smile on your face, it you take the time to notice them. Make it a habit to spend some of your downtime this week to savor the small stuff. Notice how your cup of coffee smells, how it warms your hands on a cool morning, and how it tastes. Pay attention to the birds outside your window and notice how watching them and their antics around the birdfeeder makes you smile. Appreciate the hug your little one gives you after you pick her up from school. In other words, savor all the small stuff that makes you happy. It may not be much, but it all adds up to a very happy life. You just have to make the time to notice it. Over the coming weeks, practice noticing and savoring the small stuff. Don’t let the bad stuff bring you down. Instead, make it a goal to find something positive about everything that happens to you throughout the day. Pay particular attention to all the little things that make you smile. Acknowledge them and it won’t take long before you feel this simple little exercise making a big difference in your overall outlook on life. Share some of your small “wins” with the Happiness Habit Facebook group – if you haven’t joined, now is a good time!